My son had two buddies that had January birthdays. I asked him what designs we should put on a shirt for each of them, and he immediately said, "NO MOM!!!!!! We never take TOYS to parties!!!!" Taken aback ;) I said, "But don't you love all your special shirts I've made you? Didn't you love your Man of 5teel shirt for your birthday?" He explained that yes, he did love all his shirts, but he also got toys for his birthday and his friends would be so sad if we didn't give them toys. SIGH. This comes right on the heels of me stating on the Success With Embroidery podcast that my FAVORITE thing to do is make birthday shirts for party gifts. Oh the irony! Well, we compromised. 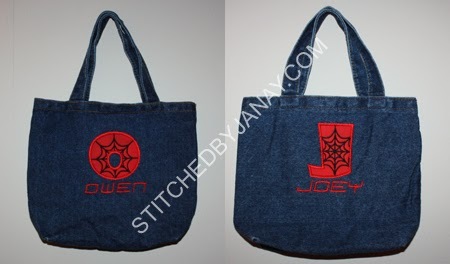 I monogrammed some denim tote bags in my stash, which we then used to wrap a toy that he picked out. Win-win I guess. :) He made sure to tell his buddies that it was a bag to keep, not to throw away like the rest. 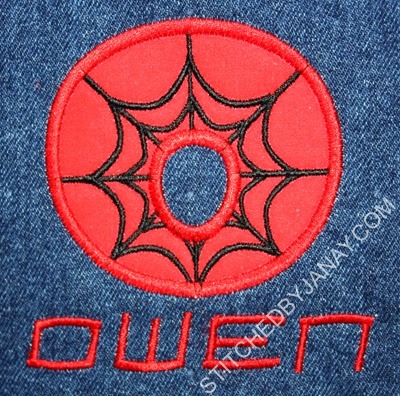 I used 8CP's Web Applique font for the initial and Spidey for their names. My daughter also attended a birthday party recently, but she is still excited to takes shirts as party gifts, especially if it includes a matching doll shirt! 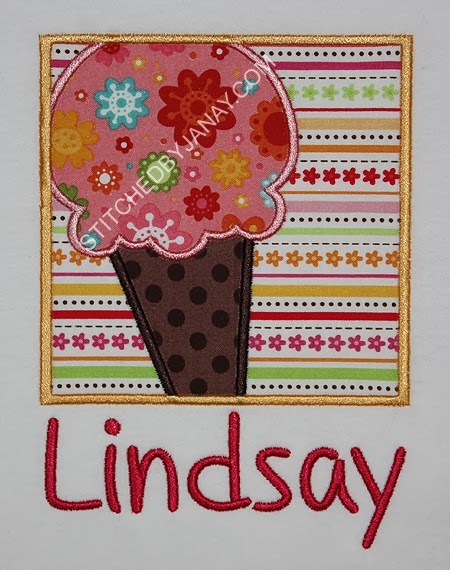 I really wanted to show off these cute prints that I had gotten from Whimsical Fabrics, so I picked the I2S Ice Cream Box design. It didn't have the doll size at the time, but Cristy digitized it for me and we added it to the zip file! :) I added Lindsay's name with Borders Divide.